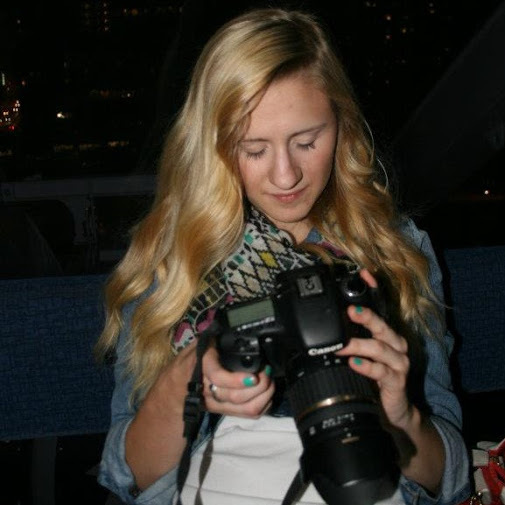 Jillian Stampher (B.A., 2014) majored in journalism and worked at The Daily all four years of her undergraduate career. She started out writing for the news section on the diversity beat and went on to cover politics, administration, and crime. In addition to covering events like the Café Racer shootings, she also wrote in-depth stories about sexual assault on campus, differential tuition, and cultural movements. She became the News Editor during her junior year, and in that same year participated in the Olympia Legislative Reporting Program through the Department of Communication (although she couldn’t move to Olympia due to her position at The Daily, so she covered higher education subjects – such as the dream act and funding – for The Daily). Explain your typical work day. “I work the night shift at Breaking News, so I generally don’t get into work until about 2 p.m. Once there, I often take time to get read in on the news of the day and work on planning our coverage of upcoming stories. Then, depending on the day, I will either jump on the big story that’s moving or focus on a topic, such as weather or politics. Eventually, I’ll take control of the whole site for the night. “During my shift, I search Twitter, wire services and both local and national news sites to find stories that are timely and accurate. We use both eyewitness accounts and vetted sources to provide in-depth accounts of breaking stories. Once I’ve found an accurate update to a story, I summarize it to a few sentences and update our site and mobile apps. Major updates get pushed out to all users on the app. Find Jillian on Twitter @JillianStampher.